It's hard being a woman and trying to keep your hair sleek, shiny and silky smooth. The minute you step outside your door, everything from pollution, humidity, and UV rays start assaulting your carefully managed locks. That's why so many women are looking for treatments and products that repair brittle hair and split ends. 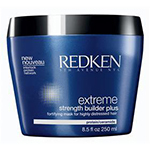 Unfortunately, most treatments are little more than expensive conditioners. A lot of products actually make things worse in the long run, giving hair a good look for awhile before leaving the hair dry, dull and dead. But don't worry. We tested all the most popular hair care products on the market to find out which really rejuvenated hair, and which are a waste of time and money. Check out our reviews to find the right one to keep your hair full and healthy!